For anyone throwing a casino night at home, there generally isn’t a huge range of options to choose from when it comes to the decorations. For the most part, a Las Vegas theme tends to be the go-to, and while there’s nothing wrong having your decorations based on Western casinos, there’s also nothing wrong with having a change of pace. The next best option is to build an evening themed on Chinese casinos, especially those that are based in Macau. Macau has become the hotspot of all casino activity in the world, and the casinos in the region are some of the best ever made. Huge, sprawling buildings packed to the brim with all the unique aesthetics of China, along with a huge selection of different games to choose from. If you’re looking to take a break from the usual sports betting NZ and casino themes you’re used to, have a look at some of these simple, yet elegant ideas to totally spruce up your evening. Chinese lanterns are cheap, extremely simple to install, and they can provide a powerful change of colour to the room that gives it a completely new feel. 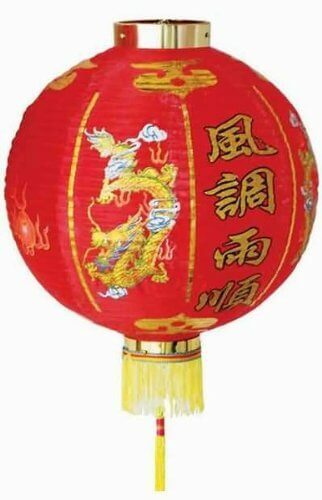 Chinese lanterns come in a variety of shapes and sizes, but the most common tends to be a dark red with a paper cover. Often the lanterns will come with some embellishment, such as a gold finish. These come in two different forms. The first is a woven silk ornament that has red ribbon hanging from its base. It’s best hung from walls, and can be made at home with a few pieces of fabric and a wire frame. The next is hanging ribbon that can be cut from red paper. There are various shapes and forms that can be cut from the paper, and it can hung from the ceiling in a criss-cross pattern. While not for actually holding birds, these small cages are seen as a symbol of luck within China, and can add a flair of tradition to the evening. They come in a number of stylised shapes, and can be bought in either gold or silver most commonly. This is an elegant way of providing a soft, warm glow to the room, allowing for strong ambience without the need of too much lighting. Here, two pieces of identical cardboard are taken, either red or gold, and a series of straight lines are cut over through the cardboard, perpendicular to the width side. Pushing down on the top will make the sides push out, providing a lantern wall and a small base for a tealight. 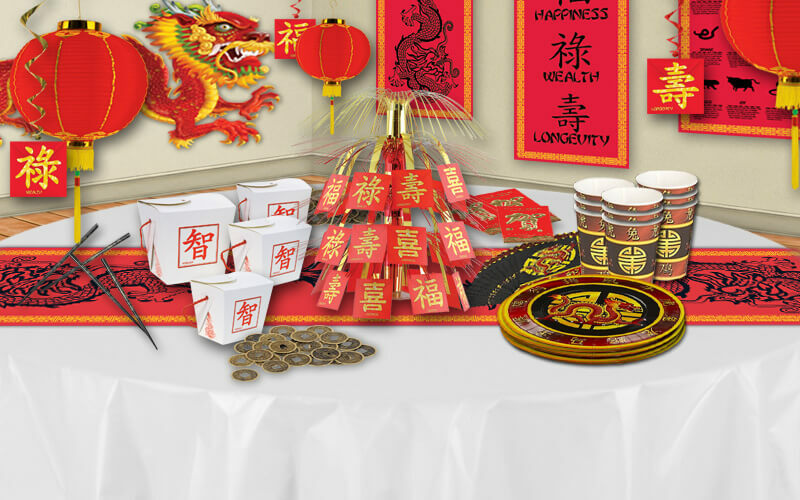 If are planning to provide food at your party, it’s important to have the right colour tablecloth and utensils. These can be acquired easily, and plastic utensils are advised. Red is the colour most popular this year, and will coincide nicely with the Chinese celebration of the year of the dog.